If you have been paying attention to photography-related social media lately, you may have heard that Adobe has made some changes to their Lightroom family of programs. Depending on who you listen to, it’s either no big thing or a sign of the apocalypse. I’m here to tell you that it’s neither unless you use Lightroom without a Creative Cloud subscription. Let me lay out the changes and my opinion on them. Lightroom 6 is, um, was the perpetual license version of Lightroom. This was the version that you could buy without subscribing to one of Adobe’s Creative Cloud subscription plans. It cost $150 new or $80 for an upgrade and it pretty much had all the features of the Creative Cloud version, except that you couldn’t sync your photos with your mobile app. According to Adobe, Lightroom 6 will get another update before the end of 2017 and, as the pig said, that that’s all, folks! There will never be a Lightroom 7 (well, nothing by that name anyway). You can keep using Lightroom 6 as long as you want, at least until you get a new camera down the road and it’s not supported by version 6. At that point, you will face the question of switching to another solution or giving in and submitting to our software subscription overlords. I know that many of my friends, and many of you, object to the idea of paying a monthly fee for any kind of software. I can only say, as someone who took the blue pill, that it’s not as bad or morally objectionable as some people think. For a modest enough fee, I always have the latest versions of software I use all the time. It’s far less than annual updates to perpetual Photoshop and Lightroom licenses. I did some calculations once and figured that you would have to delay updating Photoshop and Lightroom for more than five years to make perpetual licenses cheaper than a Creative Cloud Photography Plan. Of course, that has as much to do with the insane pricing Adobe charged for a Photoshop perpetual license as it does with how reasonable the monthly cost of a subscription is. Lightroom Classic CC is the new name for what we’ve been calling Lightroom CC for the last few years. It is what would have been Lightroom 7 if there had been a Lightroom 7. It is a modest update to the previous version but its updates and new features are welcome ones. Speed improvements: Navigation and switching from Library to Develop Modules are much faster. It’s not quite instantaneous but it’s a huge improvement to the “I’ll get around to it in a bit” experience with recent versions. While this is an “under the hood” upgrade, it is probably long overdue. Luminance and Color Masking: Luminosity masks are all the rage in Photoshop these days and there are no shortage of YouTubers who want to tell you about it (and sell you their Photoshop panel to make it much easier). This update brings a version of this to the Gradient, Radial, and Brush adjustments. In short, you can tell Lightroom to apply the adjustments only to pixels that fall within a certain range of brightness or color values. The obvious application is when you use a gradient mask to darken your sky. Until now, it would also darken any trees, mountains, or buildings that stuck up above the horizon. This new feature excludes those darker pixels so the adjustment only applies to the sky. It also lets you adjust how hard or soft the transition is. While it’s not a complete replacement for Luminosity Masking, this new feature will save you a few unnecessary trips into Photoshop. Embedded Previews: Instead of generating previews when it imports your images into the catalog, Lightroom can now extract the embedded JPEG file created by your camera when you snapped the photo. This should speed up import a lot if you use it but there are a few caveats. The preview will reflect the picture style selected on your camera, which the RAW file usually ignores. The preview won’t reflect the actual photo until you bring the photo into the Develop Module and make an adjustment. Only then will Lightroom update the preview to show you what it really looks like. Also, this doesn’t work (or may not work) if you convert to DNG upon in import. Since I usually shove my card into my computer and walk away, the time savings from this feature are minimal at best. Meet the new Lightroom CC; not the same as the old Lightroom CC. This is meant to be a lighter-weight, more mobile-friendly version of Lightroom that stores all of your RAW files in the cloud. Feature-wise, it’s a dumbed-down version of their mobile app for the desktop. Adobe claims that they intend for this version of Lightroom to achieve feature parity with Lightroom Classic within a couple of years. The “utility” of storing all of your RAW files in the cloud is questionable. If you do this, then all of your RAW files are also visible on your mobile version of Lightroom. I use cloud collections as my electronic portfolio and I don’t want to have to page through dozens or hundreds of albums just to find the one I need to show a client. Thus, I don’t need or want all of my RAW files available at all times, only the most recent ones, so going to an all-cloud storage solution seems like a solution to problems I didn’t know I had. That’s because I don’t have those problems, whatever they are. Another problem, which should be obvious to many, is that the basic Creative Cloud plans provide a maximum of 1TB of cloud storage. Professional photographers often have libraries with hundreds of thousands of RAW files. I’ll do the math for you. That’s way more than one terabyte. Adobe will happily sell you more storage at basically $10 per terabyte per month. That’s $100/month for 10TB. I can get a 12TB NAS that costs less than a year of that plan. Is Lightroom Classic CC Going to Become Abandonware? Adobe was quick to assure it’s user base that they “remain committed” to the future development of Lightroom Classic. Unfortunately, their customer base includes the same people who heard Google swear they were “committed” to the future development of the Nik Collection. I personally believe that there is enough of an installed base for whom the cloud option is no option. These are the working pros and hobbyists who have photo libraries that exceed 1TB and who don’t want their valuable assets on someone else’s servers. I also wonder how successful the new Lightroom CC will be. It’s underwhelming to experienced Lightroom Classic users, but I also think it’s overkill for people who shoot with their phones (the apparent target audience for this product). Adobe says their goal is “feature parity” with Lightroom Classic, but I’m not sure this will necessarily happen. iPhone photographers don’t necessarily need all the features of the original and Adobe may decide that they’re not attracting enough DSLR and mirrorless photographers to make it worth the time and money to bring all of the Lightroom Classic features to the cloud version. I believe that the new Lightroom CC could be very useful to the Classic users like me, except that Adobe appears to be completely missing that boat. Right now, they seem to be treating the local storage of Lightroom Classic CC and the cloud storage of Lightroom CC as completely separate sandboxes. While you can use your cloud storage to share collections from Lightroom Classic CC, there is apparently no easy way to get RAW files for Lightroom CC into your Lightroom Classic catalog, except as one big lump. Here is how I imagine the new Lightroom CC working for me. If I’m on the road with my camera, I could come back to my hotel or other home base and ingest my new photos for the day into Lightroom CC on my laptop. I would then leave the laptop on and let it upload my RAW files overnight while I ate and/or slept. At the end of my trip, my precious photos are not on my laptop anymore but safely in the cloud, allowing them to safely leapfrog over customs checkpoints on the way home. If something goes sideways with my laptop, the photos are safe. But the only way this workflow, um, works is if there is an easy way to download individual albums from Lightroom CC cloud storage and import them directly into my Lightroom Classic catalog. In my opinion, there should be an “Import from Cloud Storage” option in the Lightroom Classic import dialog. As it is, the best option for me currently involves using Lightroom Classic on both my laptop and my home desktop. I store my laptop’s Lightroom Classic catalog in a folder that I sync with my home system via Resilio Sync. I detailed how to do this in an older post (just substitute Resilio for BitTorrent). When I get home, I just import the travel catalog into my main catalog and Bob’s your uncle. This is a simple enough workflow that, if Adobe doesn’t wise up and make Lightroom CC to Lightroom Classic imports much easier, it’s no big loss. The new changes, beyond the improvements in Lightroom Classic, mean nothing to me since I can’t recommend the “new” Lightroom to anyone who is already happy with Lightroom Classic. If you don’t like Lightroom Classic, I can’t see that the new version is going to change your mind. I leave with this parting thought. 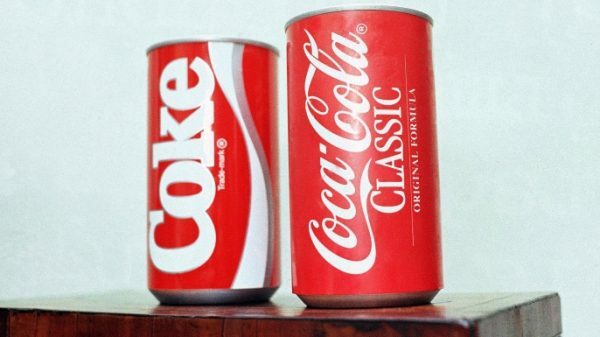 The name “Lightroom Classic” reminds me of “Coke Classic,” which makes Lightroom CC Adobe’s equivalent of “New Coke,” for those of you old enough to remember that fiasco. This entry was written by Paul, posted on 31 October 2017 at 5:00 pm, filed under Products and tagged Adobe, Classic, Creative Cloud, Lightroom. Brands: Adobe. Software: Lightroom, Lightroom CC, Lightroom Classic CC. Concepts: cloud storage, Software Subscription. Bookmark the permalink. Follow any comments here with the RSS feed for this post. Trackbacks are closed, but you can post a comment.